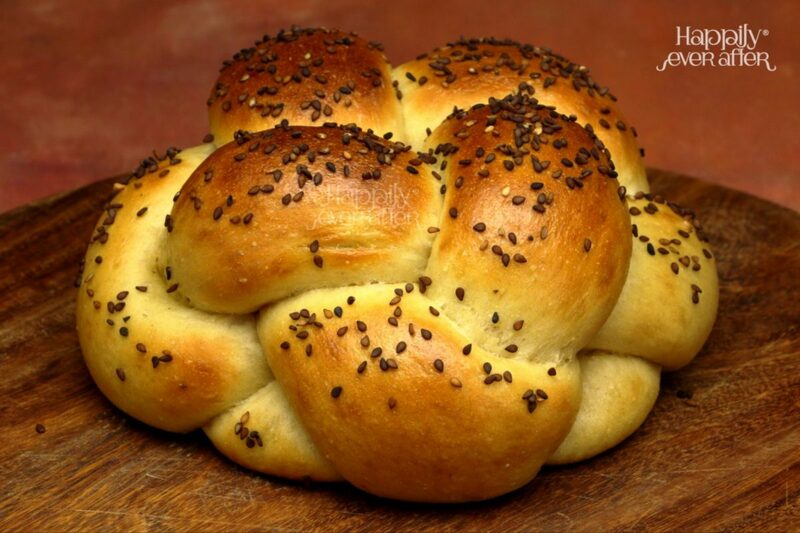 A special braided bread made with Wheat flour, White flour, Eggs, Sugar, Yeast, Water and Salt. 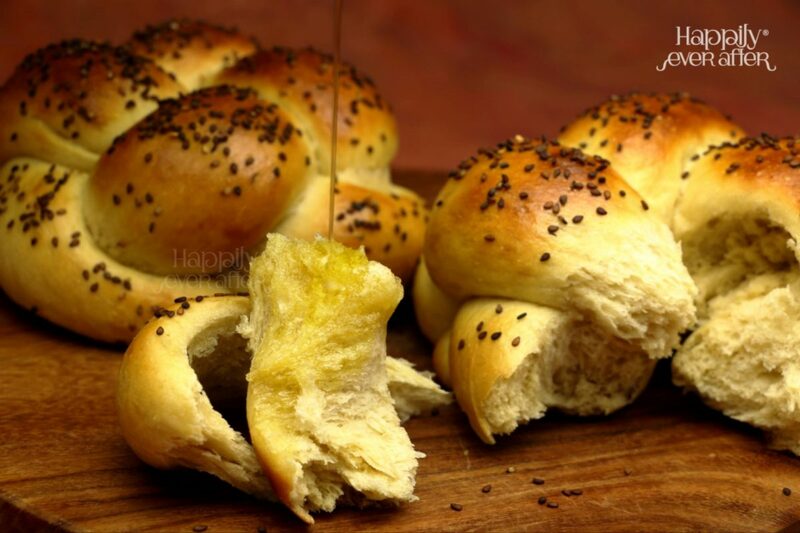 Challah is a special bread in Jewish cuisine, usually braided and typically eaten on ceremonial occasions. 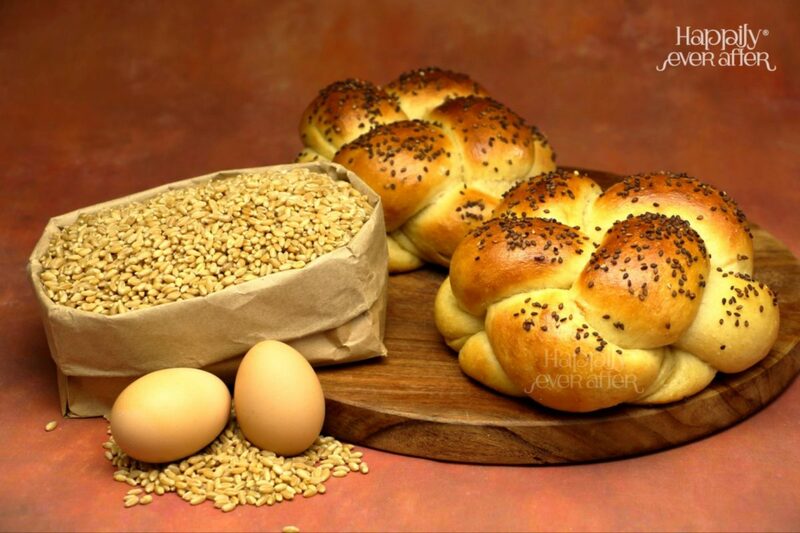 Traditional Israeli Challah contains no dairy products in the dough but Eggs or Olive oil. This is a bread that is as much a pleasure to look at as it is to eat. It goes best with garlic infused olive oil or simply extra virgin olive oil and surprisingly with almost all Indian curries. What makes this bread special? The bread tastes best when consumed fresh. 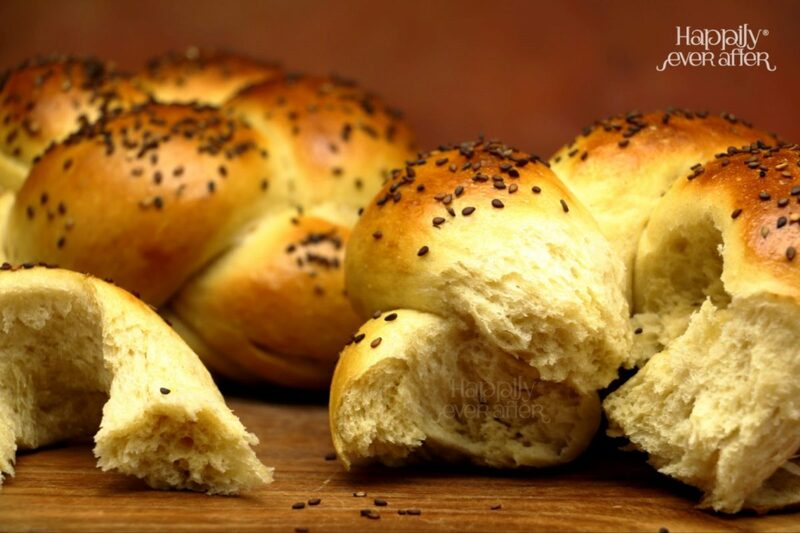 Challah stays well at room temperature for 2 days when stored in an airtight container. Consume within 2 days.